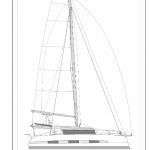 For the sailing season of 2018 one of the most intriguing news is the new arrival for Dufour. 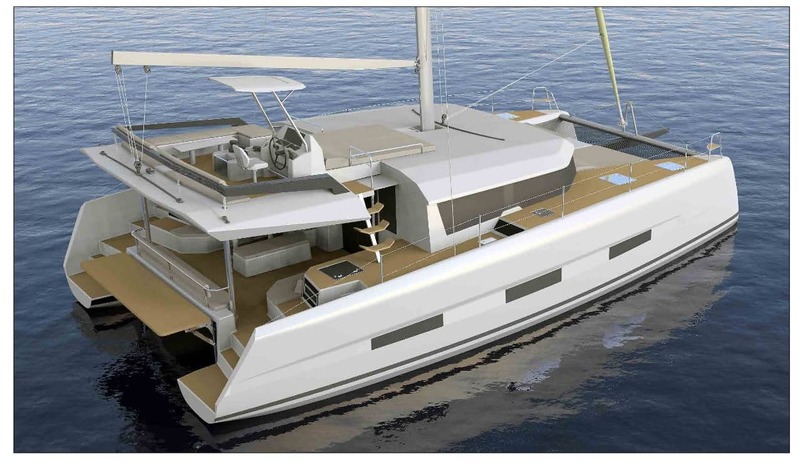 The Croatian charter is ready for French boatbuilder with brand new model – Dufour 48 Catamaran. This beauty stands out of the usual catamaran outline with her simple and elegant lines which give a viewer sensation with her recognizable silhouette. The flybridge takes on a new dimension with centrally positioned helm, lounge area and sunbathing platform to enjoy special moments of relaxation in total privacy. Over a skipper’s head there is a hardtop roof, on his hand are positioned jammers and winches, making quite simple single – handed sailing. The flybridge lounge is completed with comfortable settees accompanied by small table. On the same level as the living room and kitchen is positioned the large outdoor cockpit covered by the fly. There is a „open air galley” concept to complete the party that includes fridge, barbecue and sink in the cockpit. All the passengers can be accommodated on the dining table because is big enough, while visitors can find their place on surrounding settees. The tender is accommodated with the electric art platform that makes a perfect swimming area when lowered. 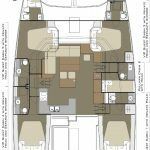 The starboard hull has a layout and finish worthy of a 5-star suite. Umberto Felci singed the interior layout available in three versions. 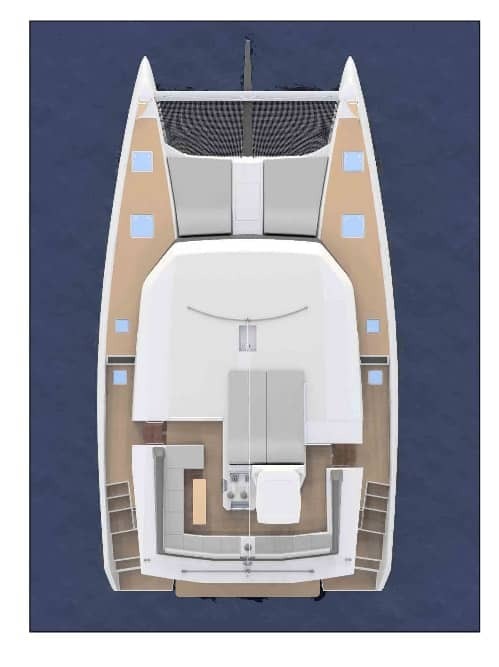 Three-cabin yacht including owner suite with a head and separate shower in a port side hull is meant to be first version. In the starboard hull are situated two double cabins including heads and separate showers. In the bow of the port side hull is separate cabin which belongs to the skipper. 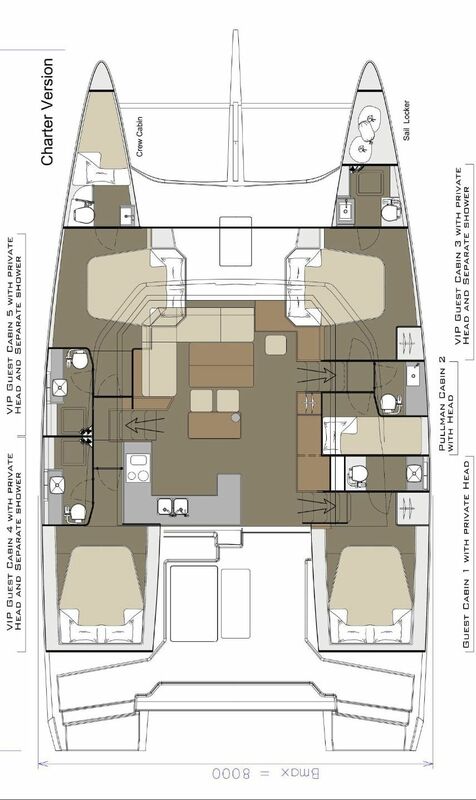 Four cabins, five heads and a skipper’s cabin include charter interior layout. 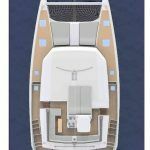 Those in the starboard hull have separate accesses, while double cabins and separate showers are situated front and aft of the both hulls. In the same hull is situated service room and a day head. Five cabins, five heads and a skipper’s cabin include final layout. In a port side hull are situated two double cabins with heads and separate showers along with a skipper’s cabin in the bow. The starboard side hull includes one double pullman cabin, two double cabins with independent accesses with heads and separate showers, one day head and a sail locker. First two layouts are more convenient for private owners, while I believe that this final layout will be the most popular within the charter agencies. 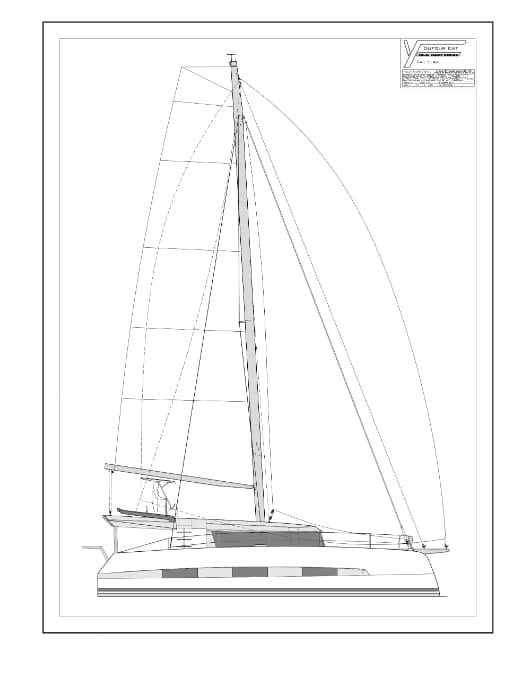 Total sail area of 124 m2is divided between a 76 m2battened mainsail and a 48 m2 self-tacking jib. A 90 m2code zero and a 110 m2gennaker are available optionally. The 14.7 m long overall hulls are propelled by 50 HP engines as a standard or 60 HP optionally. 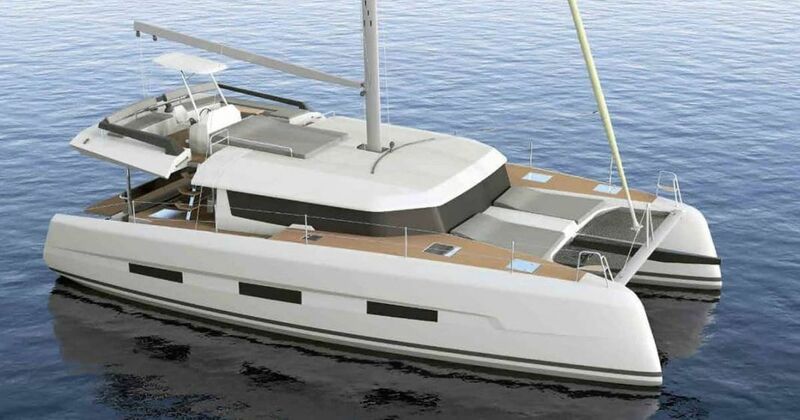 Dufour 48 Catamaran has a beam amounting to 8 m and a 1.3 m draft, while the tanks’ capacity is divided between 900 L of diesel and 700 L of water. 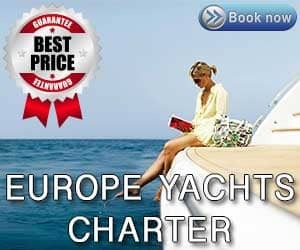 Dufour 48 Catamaran guarantees the peak of comfort and style in the range of 45-50 feet catamarans. In the season of 2018 the first model to arrive in Croatia is available at Marina Trogir from 2019. We are glad to offer the catamaran Dufour 48 Catamaran as a brand-new offer in Europe Yachts Charter Group fleet as a one highly anticipated model.